WOW .....simply drooling over them !!! 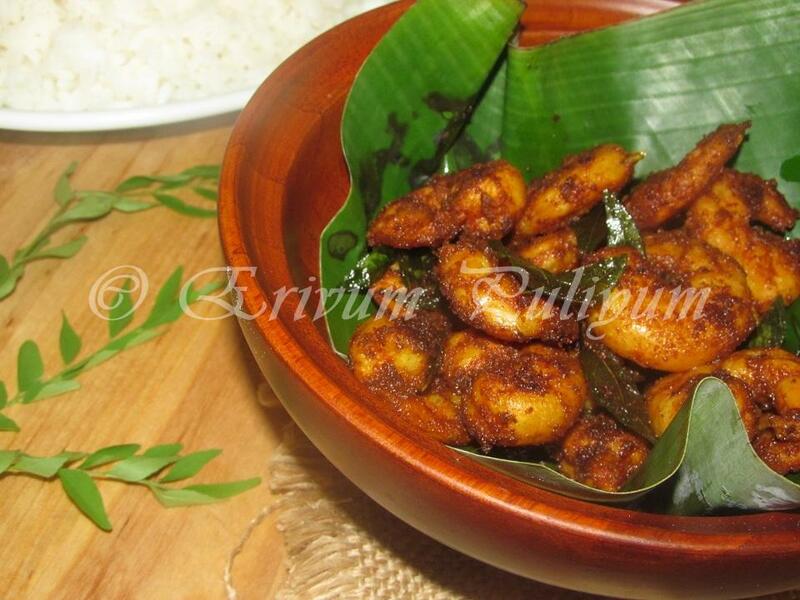 Prawn fry look so delicious.. very tempting.. I never dared to eat prawns so far,but looks delicious. mmmm this looks too good. I dont eat prawns. But for me itself, your recipe and picture are tempting and asking me to taste it. Love the presentation with banana leaf. beautiful. Wooow..Love the masala which coated perfectly over the prawn..Crispy and yummmm.. I've been craving prawns for so long now..now looks like gotta buy and make them your way! 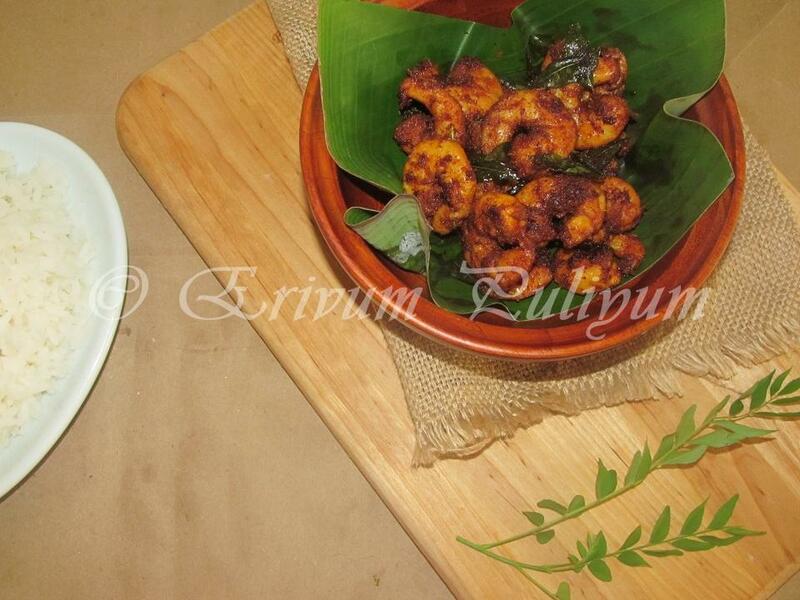 Wow thts a lovely plate..
Spicy and delicious prawns fry,so yummy..love the presentation. I die for Prawns Julie.... Wish you were here. I could just grab a handful from your plate. Woww !! Mouth watering dear !! Looks very tempting !! 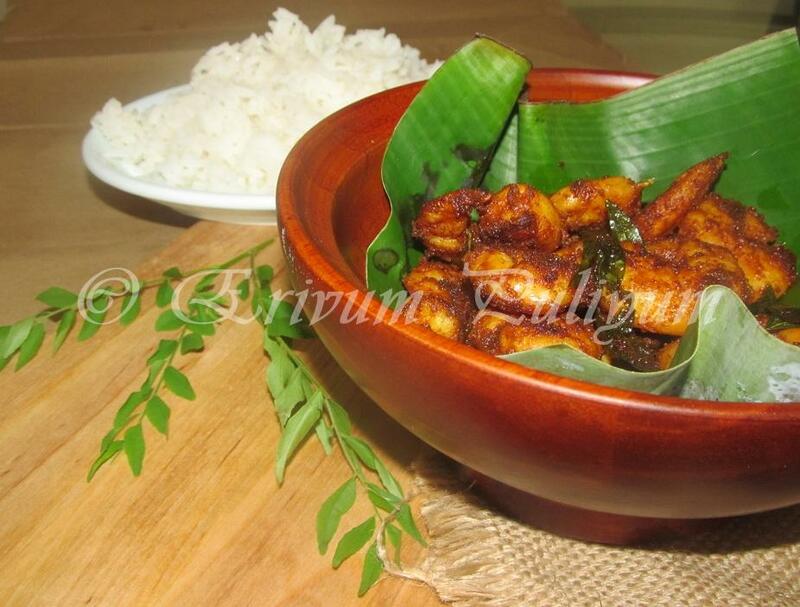 wow so yummy...finger licking good prawn fry Julie. Delicious and my favourite fry!! I also like them fried, but I usuually just use some thyme, olive oil and garlic. Thanks for an inspiration! vayil vellam vanittu vayya..pls pass me some. Looks fabulous & delicious, yummy fry! hi julie, your prawns really look delicious.. bookmarked with thanks. Excellent fry, suits prefect as a starter, yummy. wow..this looks simply delicious Julie! !